Anorexia - Medical Marijuana Research Overview - Medical Marijuana Inc.
Anorexia is a serious eating disorder that affects as many as 30 million people each year. Studies have shown cannabis to be an effective treatment for some aspects of the disorder, and several states have approved medical cannabis as a treatment. Anorexia nervosa is an eating disorder characterized by self-starvation and an abnormally low body weight. 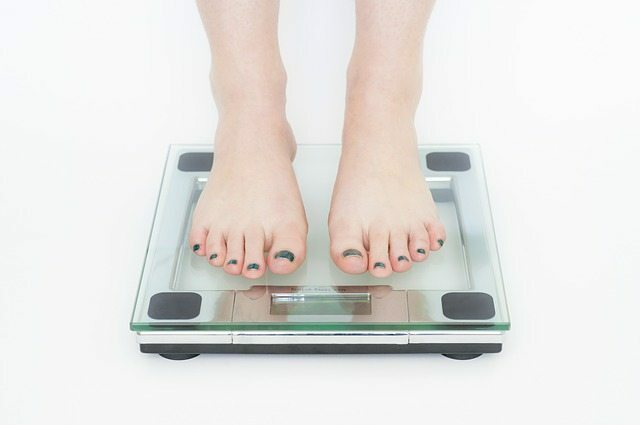 The serious and potentially life-threatening disorder, often simply referred to anorexia, is associated with a distorted perception of body weight and a fear of weight gain. The National Eating Disorders Association (NEDA) reports that girls and women account for 90 to 90% of those suffering from anorexia. The fear is so intense for people with anorexia that they severely restrict their food intake to cause dramatic weight loss, without appreciating the seriousness of their situation. With anorexia, because the body isn’t receiving the nutrients and calories it needs for normal functioning, it must slow down its physiological processes to save energy. According to NEDA, the heart rate slows and blood pressure drops, causing the heart to work harder and increasing the risk of heart failure. Other associated health consequences include the loss of bone density and muscle mass, fatigue and weakness, loss of hair, skin dryness, and severe dehydration, which increases the risk of kidney failure. A comprehensive, multi-faceted approach is needed to treat anorexia, as both the mental and physical health of the affected individual must be addressed. The physical goal is to return to a healthy body weight through an increase in calorie intake and the implementation of proper nutritional habits. A psychologist or other mental health professional helps to address the behavioral issues associated with anorexia. Some scientists have suggested that anorexia and other eating disorders are connected to a dysfunction with the endocannabinoid system, a major neurotransmission system responsible for a variety of physiological processes related to homeostatic balance, including controlling the way the body reacts to particular foods and the feeling one gets from eating9. The particular cannabinoid receptor within the endocannabinoid system that is associated with appetite regulation is CB1. The CB1 receptor stimulates eating behavior by triggering hunger and fullness, offering pleasure after eating, and making food more palatable. Medical cannabis contains tetrahydrocannabinol (THC), a cannabinoid that has long been found to directly affect this CB1 receptor, thus stimulating hunger and increasing the pleasure felt when eating6. In animal trials, cannabinoids have shown to enhance appetite and the promotion of feeding6,8. Those suffering from anorexia will be better able to return to a healthy body weight if they feel hungry and enjoy eating. In one study, a cannabis-based drug showed to be a safe and effective treatment method for anorexia associated with AIDS5. Evidence also suggests that cannabis may help cachexia patients increase their energy and physical activity levels, which in turn could lower the risk of atrophy and improve mood. A 2015 study found that adult women with severe anorexia nervosa treated with cannabis medication saw a modest increase in physical activity1. Currently, four states have specifically approved medical marijuana to treat anorexia. These states include: California, Illinois, Maryland and New Mexico. Washington D.C. allows medical marijuana for any debilitating condition. Seven states may allow anorexic patients to be treated with cannabis, but their case and condition have to first be approved. These states include Connecticut (condition may be approved by the Department of Consumer Protection), Massachusetts (condition must be presented in writing by physician), and Montana, Nevada and Oregon (conditions subject to approval). Medical marijuana treatment caused significant increase in body mass index in 24 anorexic adult women. Changes in IGF-I, urinary free cortisol and adipokines during dronabinol therapy in anorexia nervosa: Results from a randomised, controlled trial. Women with severe, long-lasting anorexia nervosa given THC medication for four weeks saw greater average weight gain compared to those women given a placebo. Dronabinol in severe, enduring anorexia nervosa: a randomized controlled trial. Anorexic women treated with cannabis medicine saw modest increase in physical activity and energy level. Effect of dronabinol therapy on physical activity in anorexia nervosa: a randomised, controlled trial. Anorexia Nervosa. (n.d.). NEDA. Retrieved from https://www.nationaleatingdisorders.org/.